Spending time at a deer camp is a memorable outdoors experience, says Harold Webster Jr., and camp meals should be just as enjoyable. Webster aimed to develop and adapt a wide variety of recipes to avoid mealtime monotony at camp. His recipes keep pantry items to a minimum (or call for easily obtainable ingredients) and were written to be useful even for “Bubbas and Bubbaleens” who may not normally cook at home. Above all, Webster strives to help hunters get more from their harvest: a bounty of meals enjoyed among friends. The cookbook presents 300 recipes. 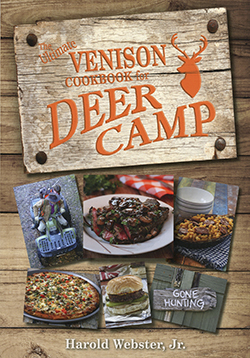 Several of the chapters are devoted to a specific cut of venison—steak, loin, tenderloin, ground, sausage, etc. More recipes follow for marinades, sauces, appetizers, soups, stews, chilis, salads, vegetables, casseroles, sweets and much more, including the recipes reprinted here. The book is illustrated with color photographs of recipes and scenes from hunting camps. Webster also shares cooking tips and stories about hunting and history, making his book as fun to read as it is useful. 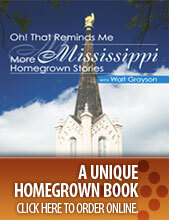 The cookbook is available in retail stores and may be ordered from Great American Publishers, in Brandon. Price for the 288-page softcover is $21.95. Get details at 1-888-854-5954 or GreatAmericanPublishers.com.